Ireland's champion Jump trainer Willie Mullins today hosted a media visit at his Closutton yard organised by Cheltenham Racecourse and gave updates on his leading contenders for The Festival™ presented by Magners next month (Tuesday, March 12 to Friday, March 15). Mullins is the winning-most trainer in the history of The Festival, with 61 successes. He has won the Irish Independent Leading Trainer Award at five of the last eight Festivals (2011, 2013, 2014, 2015 & 2016) and sent out a joint record of eight winners across the four days in 2015. He was runner-up to fellow Irish trainer Gordon Elliott in both 2017 and 2018, with six and seven winners respectively. Mullins' squad for the four days in 2019 once again boasts significant strength in depth with established stars such as Faugheen and Min being joined by a talented team of novice hurdlers and chasers. Classy mare Laurina has emerged as the Closutton's handler leading candidate for the feature on day race one of The Festival™ presented by Magners, Champion Day, Tuesday, March 12 - the £450,000 G1 Unibet Champion Hurdle. Unbeaten in five starts for Mullins, Laurina recorded a facile 18-length win in the G2 Dawn Run Mares' Novices' Hurdle at last year's Festival before going on to G1 success at Fairyhouse. Laurina has been restricted to just two runs this term due to unsuitable ground conditions. Winner of a two-runner Listed race at Sandown Park in January, the six-year-old daughter of Spanish Moon completed her preparation for the two-mile hurdling championship when justifying odds-on favouritism in today's Listed Quevega Mares Hurdle over two miles and four furlongs at Punchestown under Ruby Walsh. Laurina, who bids to emulate another Mullins-trained mare Annie Power (who also captured today's Punchestown contest) in landing the Unibet Champion Hurdle, is set to be joined in this year's renewal by dual G1 winner Sharjah and Melon who finished a neck second to Buveur D'Air in last year's renewal, but has failed to win in three starts since. Reflecting on Laurina's victory at Punchestown, Mullins said this afternoon: "That was job done for Laurina. When Ruby asked her to move up, she did everything he asked of her. "Laurina probably jumped a bit too slow for my liking, but once Ruby asked her to she sharpened up her jumping very quickly. Hopefully, we now get a clear run between here and Cheltenham. "It was not ideal running her after a flu vaccination, but I had this race in my head for her for a while. The tight track they use here for this meeting would also not have suited her as she prepares a more galloping track, so hopefully there is more to come. The Champion Hurdle is where we're aiming and that is the plan at the moment. "Laurina is a very good mare. The ground has not been right for her all year. We have had to upset her work in the last week, because we had to give her a flu jab under the new regulations, which has meant the whole yard has had an easy week. That is not nice where you are trying to rev a horse up for a race this week, before giving them an easy time again in the lead up to Cheltenham." Discussing the differences between Annie Power & Laurina, Mullins continued: "They are very different mares. Both are big, but they differ in terms of their temperament. Laurina last year was on the excitable side - she doesn't like anyone in her box, whilst Annie Power, you could let a five-year-old in her box and you would be safe. "You would nearly want a bodyguard going in with Laurina, but she has settled down a bit this year. Laurina seems to have a whole temperament change, she is in the same stables and we're doing the same work with her, but she just seems to have grown up." Discussing the rest of his Champion Hurdle squad, Mullins commented: "Melon looks good. I am very happy with him. We have been trying to work out what went wrong with him so far this season and we have our own reasons and we are trying to change those for Cheltenham. "I know connections are saying that Buveur D'Air ran flat in last year's Champion Hurdle and we have gone backwards on the racetrack this year, but I am hoping now that we have changed a few things with him that might bring back his old form. If he goes there in his old form, I think he has a great chance there. "Sharjah has been a nice surprise this season and has improved beyond all recognition - he has got his confidence back and is a really good horse. We've been delighted to see him win two G1s this season and we are very pleased with him." Mullins is yet to win Jump racing's Blue Riband event, the £625,000 G1 Magners Cheltenham Gold Cup (Gold Cup Day, Friday, March 15), filling the runner-up position with Florida Pearl (2000), Hedgehunter (2006), Sir Des Champs (2013), On His Own (2014) and Djakadam (2015 & 2016). This year's team looks set to mount a serious challenge in the extended three and a quarter-mile G1 event. Mullins could mount a five-pronged assault in the race courtesy of recent Irish Gold Cup scorer Bellshill, impressive Savills Chase winner Kemboy, Al Boum Photo, who captured a Listed event at Tramore on his only start this term, Killultagh Vic and Invitation Only, successful in the valuable Thyestes Handicap Chase at Gowran Park in January. Mullins explained: "Bellshill came out of Leopardstown well. "He stays very well and he jumps very well, which is probably his biggest asset and is a huge plus for him. Cheltenham has not been the luckiest of tracks, but hopefully he could put that right this time around. He is now becoming the horse we thought he would be. "He had an in and out time over the last couple of seasons, but we think there is more improvement to come from him after Leopardstown the other day. Bellshill goes on soft and heavy ground. I took a chance running him on good ground in the Irish Gold Cup, but he is by King's Theatre and his horses handle that ground very well, so ground conditions would not be a worry, but ground on the good side would be good for him. 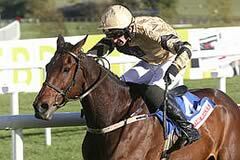 "Al Boum Photo should be effective over the Gold Cup trip and he won well on at Tramore last time out. I don't think we've seen the best of Al Boum Photo yet. "Kemboy is in good form. His performance at Leopardstown over Christmas was very good and with fast, good ground, which can come up on the fourth day of Cheltenham, he would have a very good chance. I think the further he goes, the better he is. "It was a brave ride from David Mullins over Christmas on him, but it paid off. I think the different way of riding him did suit. Kemboy skipped over the fences at Leopardstown and hopefully he can do the same at Cheltenham, whilst the extra trip there should suit. "Invitation Only will have to step up a bit on his form to get involved in a Gold Cup. "Trip-wise, I think Killultagh Vic wants to run in the Gold Cup, but he is also has an entry in the Ryanair. Based on his run at the weekend [finished fourth in the G2 Red Mills Chase], he wouldn't be going anywhere. I ran him just to get a run into him, but I was disappointed. "I was slightly frustrated he didn't have an entry in the Stayers' Hurdle because that maybe would have been more his forte. I will chat to the owners and see what they want to do - he may miss Cheltenham, but we will decide nearer the time. "This year's Gold Cup looks wide open and I think my horses all go there with a good chance. It would be very nice to win a Gold Cup and I think we have as good a chance this year as any." The ultra-consistent Min has impressed in two runs this season, overcoming traffic problems to plunder the G1 John Durkan Memorial at Punchestown in December over two mile and four furlongs, before registering an easy six-length victory in the G1 Dublin Chase dropped back in trip at Leopardstown earlier this month. Second to the mighty Altior in both the G1 Sky Bet Supreme Novices' Hurdle (2016) and last year's G1 Betway Queen Mother Champion Chase, Min could renew his rivalry with Nicky Henderson's charge in the two-mile chasing championship or step up in trip for the £350,000 G1 Ryanair Chase. Footpad was a striking winner of the 2018 renewal of the G1 Racing Post Arkle Novices' Chase at The Festival and followed up with a convincing success in G1 company at Punchestown in April. However, after falling on his seasonal debut at Naas in November, the seven-year-old son of Creachadoir was humbled by Simply Ned in G1 company at Leopardstown over Christmas. Footpad, along with 2017 Ryanair Chase victor Un De Sceaux, who finished a creditable second to Altior in the G1 Tingle Creek Chase at Sandown Park in December, both have the option along with Min of either the Champion Chase or the Ryanair Chase. Mullins continued: "I won't make a decision on where Min, Footpad and Un De Sceaux run until closer to Cheltenham. They are all entered in both the Champion Chase and the Ryanair. We will see how they are in the next couple of weeks and the state of field sizes and ground before making a final decision. "Particularly as regards Min and Footpad, I am going to wait a bit longer before deciding their targets. There are a lot of different things we will take into consideration working out who runs where. Altior is the one to beat in the Champion Chase, but we will have at least one or two runners in the race - you can't be afraid of one horse and you need to take them on. "Min has done things well this year and he ran well behind Altior in the Champion Chase last year - I've been very pleased with Min this season. "Footpad schooled very well lately and he looks more like the old Footpad from last year, so hopefully that is a good sign that he is starting to find his form. I want to get a few more gallops into him. It would be no problem pedigree wise to step him up in trip - we will wait and see before deciding whether he stays at two miles or steps up in trip either at Cheltenham or later on in the season. "I am hoping Footpad can rediscover his form from last year and we have been lucky with horses finding their form coming into Cheltenham and I will try my best to get him right for Cheltenham. Ground won't be an issue for him as he does on good ground. The only reason he has had slight breaks this season is because he has over-reached in two starts. "This year has not been Un De Sceaux's year in terms of ground. Even when he ran at Sandown, they had a lot of rain just before and the ground was quite loose on the top, but it was still good ground underneath and I was glad that he came back from that race sound. "Un De Sceaux probably needs heavy ground even more so as he gets older, but the enthusiasm he has is still there and he is in particularly good form at the moment - probably in the best shape I've seen him in the last couple of weeks. He just seems to be coming right at the right time. "The Ryanair is probably the target for him, but who knows if the ground did turn heavy, then we might go elsewhere, but I would imagine the Ryanair is the intended target at the moment. You should have seen Un De Sceaux yesterday - he did as good a bit of work as I've seen him do this winter - I am very happy with him." Mullins could be mob-handed in the feature hurdle race on St Patrick's Thursday, March 14, the £325,000 G1 Sun Racing Stayers' Hurdle in which Penhill is seeking to gain back-to-back victories in the three-mile hurdling championship and his third successive win at The Festival. A talented horse on the Flat, Penhill won the G1 Albert Bartlett Novices' Hurdle in 2017 under Paul Townend, before comfortably landing last year's Sun Racing Stayers' Hurdle on his first start of the season, again under Townend. The eight-year-old son of Mount Nelson is following a similar preparation this time around and has not been seen since finishing second to Faugheen at Punchestown in April. Mullins said: "Penhill is coming along nicely. He is another one we hope we can get to Cheltenham, but we make sure we look at him every morning to make sure he looks good. He is going to have a few more searching bits of work between now and Cheltenham. Penhill was never going to have a run this season. "I discussed it with connections and we decided straight away that we would follow the same route as last year and give him just one run. We want to go to Cheltenham and then go to Punchestown after that. Quevega followed a similar path and I do take confidence having followed the same process as her, but it is stressful. It has seemed the obvious thing to do this year to go straight for the Stayers'." The 2015 Unibet Champion Hurdle winner Faugheen also looks set to line-up in the Sun Racing Stayers' Hurdle and is going for his third success at The Festival, having also won the 2014 Ballymore Novices' Hurdle. He has recovered well from a fall in the G1 Christmas Hurdle over three miles at Leopardstown in December. The 11-year-old son of Germany impressed when defeating Penhill at Punchestown in April and Mullins is hopeful that 'The Machine' can put up a bold show at The Festival in 2019. Ireland's multiple champion Jump trainer commented: "Faugheen also runs in the Stayers' Hurdle. "He seems in good form and Ruby hadn't stirred on him in the Christmas Hurdle last time out when he fell. I'm not sure what would have happened after that, but Ruby was very confident that he had not asked any questions at that stage. Faugheen was very sore after Leopardstown and I'm just glad to have him back at a stage where he is ready to run in a race at Cheltenham. "It would be nice to win and hopefully we have a good preparation in the next couple of weeks. Hopefully, he has a trouble-free run during the race as it is a track he likes." Benie Des Dieux is another Mullins inmate yet to race this term, but she is on course to defend her title in the £120,000 G1 OLBG Mares' Hurdle (Tuesday, March 12) over two and a half miles at Cheltenham. Unbeaten in five starts for the Closutton maestro, the eight-year-old has not raced since defeating stable companion Augusta Kate at Punchestown in G1 company in April. "Benie Des Dieux is in good form", revealed Mullins. "She is in great order and will run in the Mares' Hurdle which she won last year. Ground-wise we haven't been able to get a run into her, that is the only reason. "She could have run in the last couple of weeks, but the new flu jab rule came in and that meant she could not run - I would rather give her the flu jab and leave her be instead of running." Limini landed the G2 Dawn Run Mares' Novices' Hurdle at the 2016 Festival, before finishing third to Apple's Jade in the 2017 renewal of the G1 OLBG Mares' Hurdle, a race she is being targeted at once again this term. "I'm very happy with Limini. She has just not fired so far this year, but we are hoping she can come back to form this year." Mullins has won the £75,000 G1 Weatherbys Champion Bumper (Wednesday, March 13) on a record nine occasions and he has another live contender this time around in the shape of Blue Sari who recorded a facile 11-length victory on debut at Gowran Park in January. Mullins said: "Blue Sari looks to be our main hope in the bumper. We won't have a big team for that race this year and I have simply not been able to get enough runs into my younger horses." Mullins also revealed options for: My Sister Sarah (Dawn Run Mares' Novices' Hurdle), Relegate (Albert Bartlett Novices' Hurdle), French Maid (Dawn Run Mares' Novices' Hurdle or JCB Triumph Hurdle), Sancta Simona (Dawn Run Mares' Novices' Hurdle) and Easy Game (Ballymore Novices' Hurdle). Aramon : "Aramon has been a horse who has surprised me this term. He was only narrowly beaten last time in a bob of the head - he runs in the Sky Bet Supreme Novices' Hurdle." 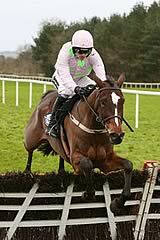 Ballyward : "Ballyward is my only entry in the National Hunt Chase. He jumps well and the plan at the moment is for Patrick (Mullins) to ride. Klassical Dream : "He could go for the Sky Bet Supreme Novices' Hurdle or Ballymore Novices' Hurdle. He is a horse who is going to need a trip and I think he will give me a bit of a headache deciding where he goes. He is a horse who is going to improve again. Tornado Flyer : "He is sound, but won't be ready for Cheltenham. He is back on the gallop today." Allaho: "The Albert Bartlett is potentially the plan for him. He is also in the Ballymore, but I think three miles will suit." Bleu Berry : "We were going to go novice chasing with him, but we made a last minute decision to stay over hurdles for this year so he might run in the Coral Cup or one of the other handicaps." Tiger Tap Tap : "He goes the Triumph Hurdle. A lot of my four-year-old having their second runs this year have failed to fire. He had a very hard race at Christmas and I might have been too easy on him after that. He certainly didn't fire last time, but hopefully he returns to that sort of form." Duc Des Genievres: "I think the Arkle is the target - we're very pleased with him and he has been in good form." Voix Du Reve : "I think the JLT is an option for him as all the people who have ridden him say he needs a longer trip." Cilaos Emery : "He pulled a muscle at the weekend and if he doesn't get over it in the next seven days, then I think we would have to draw stumps for Cheltenham which is disappointing." Carefully Selected : "He could have run this week and if I had known we would have the rain we have had, then I might have run him. 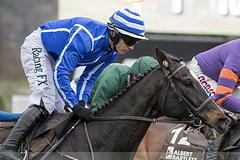 However, I think he'll now miss Cheltenham and we'll wait for Punchestown where he might go over hurdles." Detailing the size of his team for this year's meeting, Mullins remarked: "I think we will have around 40 runners this year. The last couple of years, we have had around 60 runners, but the winter has been frustrating and I have not been able to get runs into enough horses, so our team is going to be lighter. "It has been an extraordinary year - I have never seen a year like it. We just haven't been able to get enough horses out - look at our novice chasers where we have had hardly any entries. We might have a few more in handicaps this year. "You just want to get one winner on the board and then you can work up from there. We certainly have some good chances and I think we have some excellent chances in the Gold Cup and the Champion Hurdle. "We will be well represented in the novice hurdles and handicaps. I couldn't see us have a record-breaking year like we have before, but hopefully we have a few chances to get a winner."